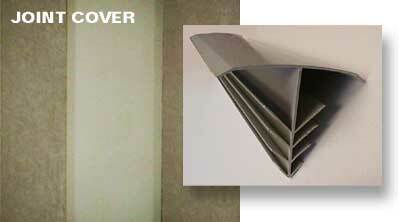 Victory Bear Joint Cover improves your finish and reduces your cost. Our Joint Covers are attractive, durable PVC inserts, ideal for covering 1/2” to 1” gaps between interior panel joints in precast or tilt-up concrete walls. Victory Bear Joint Covers eliminate the need to caulk the interior joints between panels. Eliminates Gaps – The Joint Covers fit tightly into the grooves to seal the gaps. Victory Bear Joint Covers are manufactured with a smooth, attractive surface which is ready to install, right out of the box in standard gray. If a custom color is required, the Victory Bear Joint Covers can be primed and painted.